ANTHEM hasn’t been a complete and utter failure – well, assuming you ignore virtually everything to do with the game itself. The title topped the February 2019 NPD charts in the United States, registering the second highest launch for a BioWare title of all time. It’s only outpaced by Mass Effect 3, which you may recall being a juggernaut when it deployed on the PlayStation 3. Industry spend increased four per cent for the month year-over-year, with other new releases like Jump Force, Far Cry: New Dawn, and Metro: Exodus helping to drive that boost. As is to be expected at this stage in the generation, the Nintendo Switch was the best-selling console, outperforming the aging PlayStation 4 and Xbox One families for the second successive month in 2019. We’ve included all of the relevant sales charts below. It’s particularly nice to see Marvel’s Spider-Man clinging on, isn’t it? This is what happens when you don't read Push Square reviews. Dammit where's the masterpiece crackdown 3? They only care about money, not reviews. Wow, Smash still going strong and that’s without digital sales included? Also, who buys Madden this late on? The season’s over! The reason gamers are treated like cattle. Things will only get worse and worse. 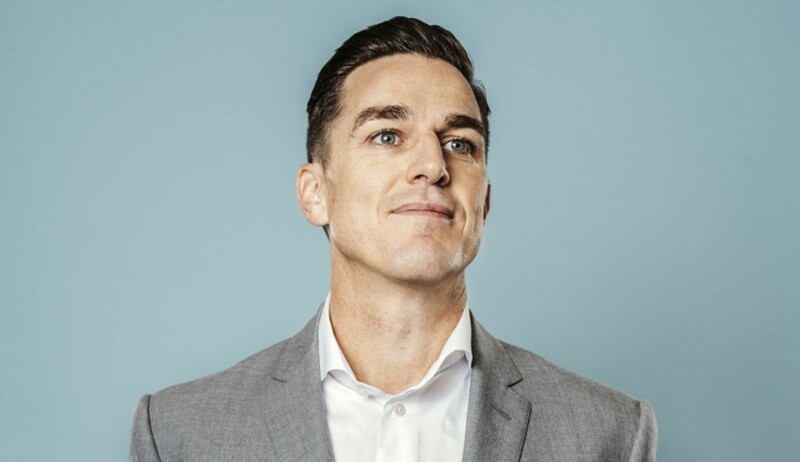 Andrew Wilson always looks like he's just about to unhinge his jaw. @ShogunRok This is what happens when you don’t even bother to check Metacritic. Maybe it is also because a lot of gamers don't find themselves in this hating buzz train that we can find here and there on video games websites. I mean, the game is not perfect, we all know that, but it possess some really, really strong qualities at its core (general design, graphics, gameplay). It's all about perception : do we need to focus on the positive or the negative ? Sometimes, by reading headnews like "another catastrophy ! Anthem is again blablabla" I'm really questionning myself why do the press seems to make this game a Fallout-76-like ? Because it's not one. I'm still enjoying the game. I don't particulary like EA, but I'm still enjoying the game. But hey maybe I'm wrong. The game is a success after all, lol. Is it any wonder gaming companies churn out crap broken games. Doesn't really send the right message to publishers does it. They might be fine now but in the long term releasing broken, boring, rubbish is going to harm the mainstream reputation of those publishers. @KingdomHeartsFan It's hard to tell how much it sold exactly. Outselling Jump Force doesn't really say a lot. It can still top the NPD charts whilst doing well below expectations. But yeah, if you invest enough in advertising, people will buy it regardless. @Areus Dont kick a man when he is down. Just wait for the headlines, "Anthem falls short of EA sales expectations, BioWare shuttered". Bunk! The Wire is still the best TV series to this day, in my opinion. Anthem was the top selling game in PS Store, it was top game for two weeks in the UK, and now top in the NPD without PC sales numbers, it seems the game is selling well. Now, it might not sell the 6 million EA wanted in the first quarter, but it's not a Mass Effect Andromeda disaster. @HungryWolf - yeah, but it was #1 in the UK with just 17,000 copies in the second week.. you don't exactly have to sell a bucketload of copies to hit #1 in february. @ShogunRok There are a lot of very gullible gamers out there that don't grasp the concept of quality, at this point I'm not surprised the two worst games are at the top. Can you really be surprised since there are still people who buy and defend COD and BF to this very day after everything that's happened with those games, let alone Anthem and Jump Force, hell I've just finished reading some moron's comment who was defending DoA6 $96+ first season pass. Let's not forget the truly astronomical amount of money spent on advertising to establish the franchise. I can barely turn on to YouTube without EA pushing this garbage on me. Not to mention heavy discounting that immediately kicked in after release. @munkondi It was even in the cinema. I've seen that trailer more than a couple of times in the past two months by now. @ShogunRok More like this what happens when you're not a bored 30+ year old but rather a grade school to college bound adult. For those people its all new to them and what does every young person want? To be part of the new thing out of the gate. Whilst perhaps not providing a massive endgame, judged as a game in general I am really enjoying it. Granted the endgame consists of randomised contracts, three strongholds and freeplay at this point - however the journey to get there and the fact you have four javelins to level means there is plenty to get on with. Never mind the exhaustive challenges and trophies. Been playing for a month and still not seen everything this game has to offer.